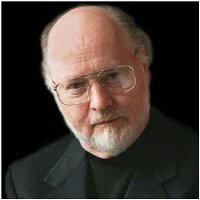 John Williams has written so many great fantasy scores, probably more than anyone else. Expectations for his music for the first Harry Potter movie were vast and the hype surrounding every aspect of the movie certainly extended to the music. While many will take much delight in the album, its function in the film is more open to debate. I’m not convinced these days that Williams pays that much attention to how his music is going to sound in the movie, he writes music for music’s sake – great for albums, not so great for films. Harry Potter has some particularly enjoyable moments. The two themes, “Hedwig’s Theme” (whose title is mysterious to say the least, since it doesn’t seem to be associated with Hedwig in any way) and “Harry’s Wondrous World” are certainly standouts – but as is sometimes the case, they are repeated ad nauseum, arguably to the point where their impact is slightly minimised. There are a couple of other standout moments – “The Quidditch Match” and “The Chess Game” in particular. The latter resembles Alex North, of all people. The problem is that there are times when this sounds a little like Williams is on autopilot, to an extent. It’s always difficult to assess such a situation, but like The Patriot, Harry Potter seems to be rather less than the sum of its parts. Listening to it, extracts from Hook, Home Alone, The Witches of Eastwick and The Phantom Menace are all too obvious, and it’s so repetitive it becomes more than a little dull after 73 minutes. Aside from the two themes, there aren’t the “wow” moments associated with Williams’s best.